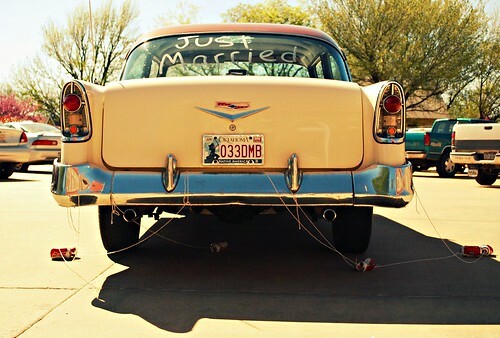 Home » Blogs » Building Relationship Skills » Can this Marriage be Saved? One of the most frequently asked questions that Linda and I have been getting at our book signings and on our radio and TV interviews is “How do you know when to call it quits?” Often, this question comes up earlier in the conversation than questions that have to do with creating a strong and healthy relationship. A lot of people, it seems are more concerned about getting out of a bad relationship than creating a great one. It may very well be that this focus may actually contribute to the creation of the conditions that make relationship break-downs (and break-ups) more likely. While it’s certainly understandable that some couples require pre-nuptial agreements in their marriage, when a focus on the possible break-up of a relationship is more dominant than a focus on the deepening of our connection, we may be setting ourselves up for the very thing that we fear could occur. And yet to deny that every marriage is vulnerable to the many possible pitfalls that can threaten relationships is naive and potentially dangerous. One of the things that we’ve discovered over the years is that no marriage is absolutely divorce-proof. That doesn’t mean, of course that divorce just comes out of nowhere and happens arbitrarily to people, but rather that any relationship, no matter how solid it is, can, if neglected or uncared for, slip into a state in which it becomes vulnerable to conditions that can seriously damage the quality of the couples’ shared connection. While it is important to be mindful of what steps can be taken to preserve an endangered relationship, it is of course, preferable to create a sustained reciprocal connection that makes such an outcome unlikely. Strengthening the shared commitment and practicing mutual generosity, compassion, honesty, kindness, and respect are all ways of maximizing the likelihood of not only staying together, but of experiencing greater fulfillment over time. Yet for a variety of reasons, many of us are unable to practice these skills and embody these qualities consistently. And even when we make our best efforts, there still may be factors that make it difficult or even impossible for us to continue in our attempts to salvage our relationship. The truth is that not all marriages can or should be saved. There are such things as ‘deal breakers’, those conditions that one or both partners finds themselves unable to continue to tolerate in the relationship. Examples can include chronic dishonesty, untreated addictions in which there is denial and an unwillingness to get help, a change or revelation of a difference in one’s sexual preference, repeated violations of trust without a willingness to repair the damage, physical or emotionally abusive behavior without any motivation to change, or violations of a commitment to monogamy. These are some examples of conditions that can be deal-breakers for couples but don’t necessarily spell the kiss of death if they occur. The key variable has to do with whether or not there is a willingness on the part of the both partners to work on the issue and acknowledge the problem. A willingness to address a potentially relationship-busting condition doesn’t guarantee that the marriage will be saved, only that there is at least a chance that it might be. When destructive patterns are repeatedly played out without a committed effort on both partners’ parts to address them, the prognosis becomes very poor. So, how do you know “when to hold ’em and when to fold ’em”? There is no generic answer to this question. Every situation is unique and must be considered on the basis of it’s own set of circumstances and the unique aspects of each individual and of the couple itself. There are however a few guidelines that may be useful to consider when it comes to recognizing whether or not to keep on keepin’ on. While some people may hang on to an impossibly broken-down relationship beyond the point where there is any possibility of its rejuvenation, many others tend to make the mistake of giving up too soon. They choose to cut their losses and get out (or try to manipulate their partner into ending the relationship themselves) before they have done all that they can do to keep it alive. While it’s easy to give someone the advice to hang in there and keep trying, this is, of course, easier said than done. One of the things that motivates us to leave a relationship is that the process of working through the difficulties can be painful, sometimes unbearably so, and if we haven’t developed within ourselves a heightened capacity to tolerate this type of pain, the impulse to cut and run is very strong. The time to strengthen our resilience and our ability to endure the emotional pain that these efforts often require is during the times when things aren’t horribly broken down. If we avoid dealing with upsets, disappointments, and differences during these times, feelings tend to accumulate and when they inevitably break through our patterns of denial, they are much more intense than they were when the differences first manifested themselves. The more practiced we are in dealing with differences, the more skilled we are likely to be in our efforts to resolve them. Still, even the most experienced and skilled among us sometimes need assistance in working out entrenched patterns. Recognizing when we’ve reached our limit in handling things is a critically important skill that allows us to know when we’ve got to call in the cavalry or in this case, professional helpers. A great many of the couples in our book at one time or another acknowledged the need for some form of help and got it. Several of them told us that without that help they doubt that they would have made it. So knowing when you need the help and getting it when you do is a vital aspect of the process of getting a marriage off of the rocks when it’s on them. Refusing to do this can be costly. We encourage each partner to focus on doing his or her own work; that is what each needs to do in order to develop the inner qualities that will promote the development of greater health, well-being and loving connection in their relationship. It can be difficult to resist the temptation to “confess your partner’s sins”, but doing so generally only generates more defensiveness and resentment in the relationship. It’s a far better practice to identify what your own work is to become a more loving, honest, courageous, compassionate, responsible, and committed partner and to get on with it. Yes, this is definitely easier said than done, and we can only do what we can do. Knowing yourself well enough to know when you’ve given something your best effort and knowing when pushing yourself to do more is destructive to yourself is the most important thing that you can know at this stage of the game. Your partner joins you in a commitment to do their own work themselves. They will be more likely to be open to this if you are not focused on fixing or changing them and you continue to focus on yourself rather than them. Once you both get committed to what you are each responsible for and support each other in that process, it is likely that things in the relationship will begin to turn around, communication will become less defensive and more vulnerable, and things will start to shift in a positive direction. The other possibility is that one or both of you may reach a point where you feel that you can’t continue the effort without compromising your own integrity, health, well-being or sanity. It’s possible to reach a point where you have lost the motivation, will or even the desire to keep trying. The longer you wait to do your work, the more likely it is that you will reach this point because of a build-up of resentment, hurt, or despair. At this point, it’s not so much a choice that one makes to let go, the letting go just more or less happens. There is always a risk in giving something your best shot. What you stand to lose is the hope that everything will somehow turn out fine, because one way or another, the outcome will reveal itself to you. What you stand to gain is a relationship that has a foundation that can sustain you both for the rest of your lives, and the tools and wisdom that can grow your connection into ever-deepening love and devotion. The choice is yours.